With its powerful li-ion rechargeable battery, the cordless version of the practical HG 350 S provides ultimate freedom of movement for hot-air applications – even at places without mains power. 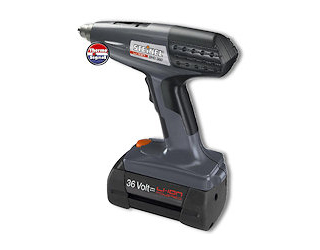 The formidable 36-volt li-ion power pack that drives the BHG 360 Li-Ion has a capacitance of 2600 mAh and delivers the energy for 15 minutes of unrestricted hot-air work. It has no memory effect and impresses with minimal self-discharge. As a result, this hot air tool - which provides the same temperature stages at its mains-powered counterpart - is immediately ready for operation even after a prolonged period out of use.